Please ignore the assholery of the author of that piece. I liked the title. 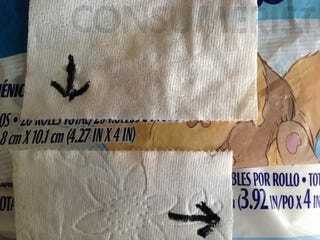 Bottom line (oh yes I did) is that toilet paper is getting smaller. Now, I am assuming that our sphincters keep the areas we are wiping approximately the same size, but that's actually my worry. What if Big TP one day decides to pare down to landing strips of toilet paper? Sure, this may be better for the environment, but how many e.coli and urinary toxins can we absorb with only 5% of us washing our hands the right way after we evacuate. As with everything in my life, I blame the Koch brothers.